Ufit is packed with 22g of protein goodness with added fibre, vitamins and minerals. 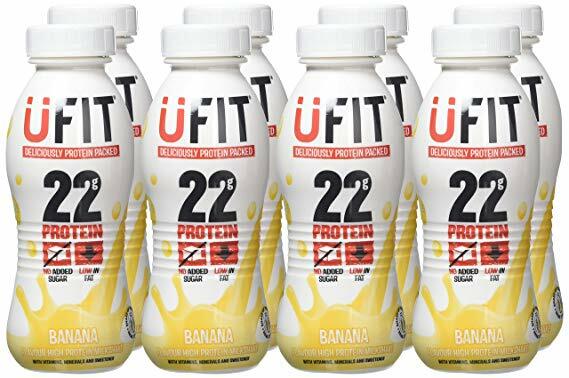 Made from milk protein, Ufit is designed to support the demands of an active lifestyle and can help in the building and maintenance of healthy muscle and bones. Ufit is our best selling high protein nutrition drink, specifically formulated with passion and goodness to support active and healthy lifestyles! Ufit comes in a delicious chocolate or strawberry flavour and is bursting with 22g of protein and added vitamins and minerals. Just pop one in your gym bag or grab one at any time during the day for the healthiest, high protein snack.